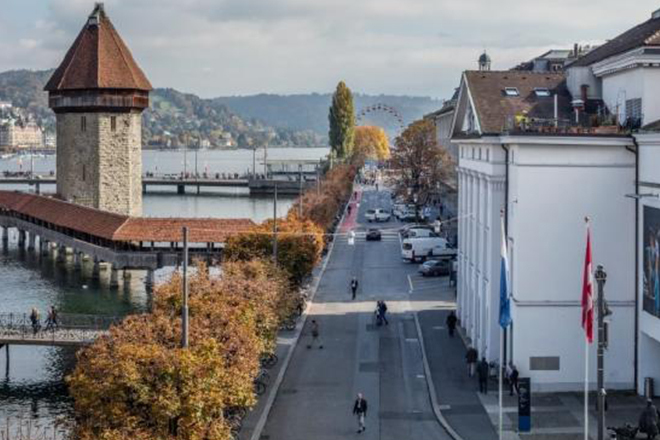 On highway A2, take exit Luzern Zentrum or Luzern-Kriens, follow the «Parking Guidance System» to parking «Kesselturm» – and you will literally find yourself in front of the STERN Luzern. 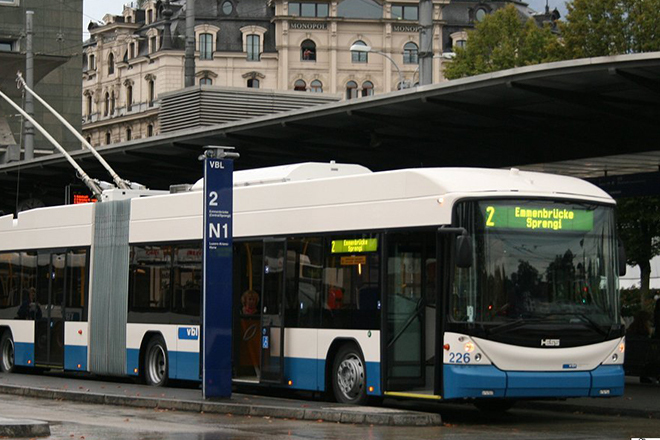 From the main train station, take the bus number 2 direction Emmenbrücke. Get off the bus at «Hirzenhof». From there it will take you about a two minutes walk to the STERN Luzern. From the main train station walk along the river "Bahnhofstrasse" - turn left before the Jesuiten Church "Hirschengraben" then walk straight for 5 minutes. 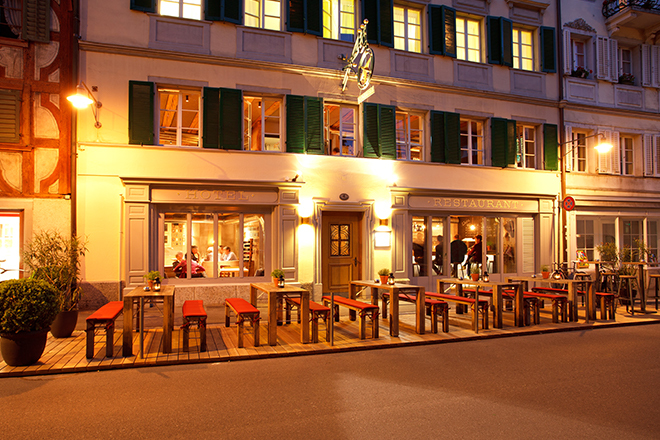 You will spot the STERN Luzern on your right after about 200 m, opposite the Franziskaner Church. 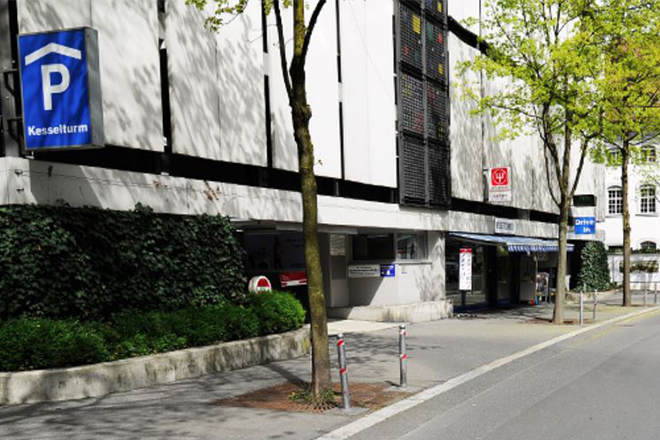 The Hotel STERN Luzern has no private parking. The nearest public parking is just across the street called "Kesselturm". The price is CHF 25 per day if you pay in advance after parking and select a day ticket at the machine.